The official unveiling of the Samsung Galaxy S3 Mini may have only been a few short hours ago but we’ve already got details on how much the device is going to cost in the UK. According to reports, Clove has revealed that a contract-free version of the Samsung Galaxy S3 Mini will set you back by about £249. Once VAT is factored in, that price is pushed up to £298.80. That’s around $479 which isn’t so bad considering that at that price, you’re not tied to a two-year contract. The only downside though is that you won’t be getting the same premium specs you see on its big brother, the Samsung Galaxy S3, despite an earlier statement by Samsung Mobile’s JK Shin. The Samsung Galaxy S3 Mini will come equipped with a smaller 4-inch Super AMOLED WVGA screen, a dual-core 1.0 GHz, 1 GB RAM and a 5 MP camera. The downgrades may not be entirely surprising though considering that it is a “mini” version of another well-known Samsung device. One bit of good news though is that the device will come with Android Jelly Bean out of the box. At least you won’t have to worry about upgrading your OS when you get the device. And of course, let’s not forget that the price is quite reasonable for the specs that it’s shipping with. 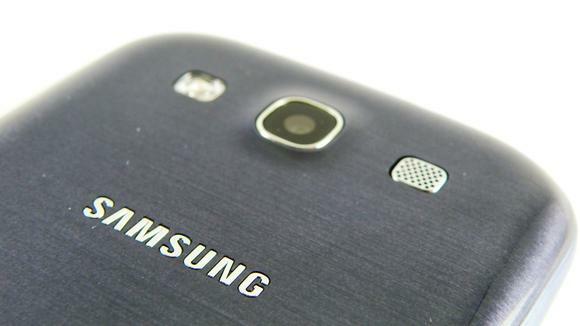 Did the Samsung Galaxy S3 Mini turn out the way you expected it to? Do you think the price is great for the specs that you’re getting? Share your thoughts in the comments below!